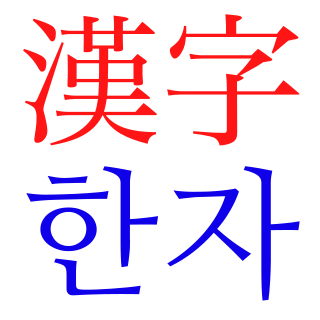 The Coup d'état of December Twelfth (Hangul: 12.12 군사반란; Hanja: 12.12 軍事叛亂) or the "12.12 Military Insurrection" was a military coup d'état which took place on December 12, 1979, in South Korea. Republic of Korea Army Major General Chun Doo-hwan, commander of the Security Command,   acting without authorization from Acting President Choi Kyu-ha, ordered the arrest of General Jeong Seung-hwa, ROK Army Chief of Staff, on allegations of involvement in the assassination of President Park Chung Hee. The Republic of Korea Army, also known as the ROK Army, is the army of South Korea, responsible for ground-based warfare. It is the largest of the military branches of the Republic of Korea Armed Forces with 464,000 members as of 2018. This size is maintained through conscription; South Korean men must complete 21 months of military service between the age of 18 and 35. Chun Doo-hwan is a South Korean politician and former South Korean army general who served as the President of South Korea from 1980 to 1988, ruling as an unelected coup leader from December 1979 to September 1980 and as elected president from 1980 to 1988. Chun was sentenced to death in 1996 for his role in the Gwangju Massacre but was later pardoned by President Kim Young-sam, with the advice of then President-elect Kim Dae-jung, whom Chun's administration had sentenced to death some 20 years earlier. Jeong Seung-hwa was a South Korean general officer, and the 22nd Republic of Korea Army Chief of Staff. He was present at the Blue House presidential compound, site of the assassination of President Park Chung-hee, when it took place on 26 October 1979. After Jeong's capture, 29th Regiment of the 9th Division, along with the 1st and 3rd Airborne Brigades, invaded downtown Seoul to support the 30th and 33rd Capital Security Group loyal to Chun, then a series of conflicts broke out in the capital. Two of Jeong's allies, Major General Jang Tae-wan (Capital Security commander) and Major General Jeong Byeong Ju (special forces commander), were also arrested by the rebel troops. Major Kim Oh-rang, Aide-de-camp of Jeong Byeong Ju, was killed during the gun-fight. Jang Tae-wan was an army general and politician of South Korea. By the next morning, the Ministry of Defense and Army HQ were all occupied. Chun and his fellow 11th class of Korea Military Academy graduates, such as Major General Roh Tae-woo, commanding general of 9th Infantry Division, and Major General Jeong Ho-yong, were in charge of the Korean military. Chun was supported in the coup and the subsequent consolidation of power by the powerful private club of military officials called Hanahoe. Korea Military Academy (KMA) is the leading South Korean institution for the education and training of officer cadets for the Republic of Korea Army. Along with the Korea Army Academy (Yeongcheon), it produces the largest number of senior officers in the Korean army. 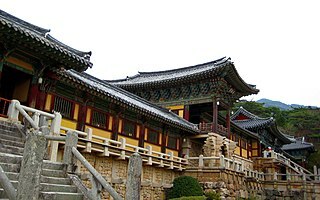 Commonly referred to as Hwarangdae ) as a reference to the Hwarang, an elite organization of youth leaders which existed in Korean history, it is located in Nowon-gu, a northeast district of Seoul, South Korea. Roh Tae-woo (Korean:노태우;Hanja:盧泰愚);Korean pronunciation: [no.tʰɛ̝.u]; born 4 December 1932) is a former South Korean politician and ROK Army general who served as President of South Korea from 1988 to 1993. Hanahoe was an unofficial private group of military officers in South Korea headed by Chun Doo-hwan, who later became the South Korean president. The members were mostly graduates of the eleventh class of the Korean Military Academy in 1955. Hanahoe formed the core of the group that eventually took control of the presidency and government from Choe Gyuha, ending the Fourth Republic. 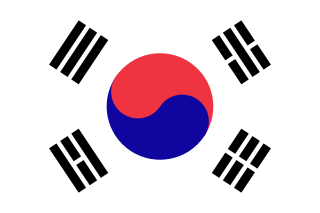 The Coup d'état of December Twelfth and the Coup d'état of May Seventeenth ended the Fourth Republic of South Korea and led to the Fifth Republic of South Korea. The Coup d'état of May Seventeenth was a military coup d'état carried out in South Korea by general Chun Doo-hwan and Hanahoe that followed the Coup d'état of December Twelfth. The Gwangju Uprising, alternatively called the May 18 Democratic Uprising by UNESCO, and also known as May 18 Gwangju Democratization Movement, was a popular uprising in the city of Gwangju, South Korea, from May 18 to 27, 1980. Estimates suggest that up to 606 people may have died. During this period, Gwangju citizens took up arms when local Chonnam University students who were demonstrating against the martial law government were fired upon, killed, raped and beaten by government troops. The uprising ended on May 27, 1980. 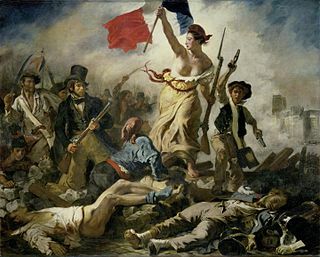 The event is sometimes called 5·18, in reference to the date the movement began. The Rangoon bombing of 9 October 1983, was an assassination attempt against Chun Doo-hwan, the fifth president of South Korea, in Rangoon, Burma. The attempt was orchestrated by North Korea. Although Chun survived, 21 people died in the attack and 46 were injured. Two of the three suspected bombers were captured, one of whom confessed to being a North Korean military officer. The Fourth Republic was the government of South Korea between 1972 and 1981, regulated by the Yusin Constitution adopted in October 1972 and confirmed in a referendum on 21 November 1972. From 1972 to 1979, power was monopolized by Park Chung Hee and his Democratic Republican Party under the highly centralized authoritarian "Yusin System". With the assassination of Park on 26 October 1979, the Republic entered a period of tumult and transition under the short-lived nominal presidency of Choi Kyu-hah, controlled under severe escalating martial law and witnessing the coup d'état of December Twelfth, the violent unfolding of the Gwangju Democratization Movement and its armed suppression, the coup d'état of May Seventeenth and presidency of Chun Doo-hwan, and finally the transition to the Fifth Republic under Chun in 1981. The Fifth Republic of South Korea was the government of South Korea from 1981 to 1987, replacing the Fourth Republic of South Korea. Throughout this period, the government was controlled by Chun Doo-hwan, a military colleague of the assassinated president Park Chung-hee. This period saw extensive efforts at reform. It laid the foundations for the relatively stable democratic system of the subsequent Sixth Republic in 1987. Tahir Yahya (1916−1986) was Prime Minister of Iraq twice, from 1963 to 1965 and a short term in 1967-1968. He was educated at the Baghdad Military College and the Staff College. Born in Tikrit 1916. He was the 4th child to Mulla Yahya el-ogaily, a prominent tobacco merchant between North and Central Iraq. At the age of sixteen, he joined the Baghdad Teachers College, then became a teacher in Baghdad for one year after graduation. He then pursued further education in military sciences. He was a cavalry officer and played polo for the Iraqi army. He led the Iraqi armored company where he was wounded in the battle at the Kfar Masaryk, earning two medals bestowed by Crown Prince Abd al-Ilāh. South Korea, as Korea, competed at the 1956 Summer Olympics in Melbourne, Australia. 35 competitors, all men, took part in 23 events in 7 sports. The 9th Infantry Division, also known as White Horse Division after the victory of Battle of White Horse, is an infantry division of the Republic of Korea Army. The unit is composed of the 28th, 29th and 30th Regiments. Park Chung-hee, President of South Korea, was assassinated on October 26, 1979 during a dinner at a Korean Central Intelligence Agency (KCIA) safehouse inside the Blue House presidential compound, in Gangjeong-dong, Seoul. Kim Jae-gyu, then the director of KCIA and the president's security chief, is responsible for the assassination. Park was shot in the chest and head, and died almost immediately. Four bodyguards and a presidential chauffeur were also killed. The incident is often referred to as "10.26" or the "10.26 incident" in South Korea. The Republic of Korea Armed Forces's Defense Security Command (DSC) was founded as the "Army Counterintelligence Corps(Special Operation Forces)" on October 21, 1950, and it functioned as the primary organization within the military charged with internal security, preservation of loyalty to the regime, and deterrence and investigation of subversion. The June Struggle, also known as the June Democracy Movement and June Democratic Uprising was a nationwide democracy movement in South Korea that generated mass protests from June 10 to June 29, 1987. The demonstrations forced the ruling government to hold elections and institute other democratic reforms which led to the establishment of the Sixth Republic, the present day government of South Korea. 5th Republic is a 2005 South Korean television series that aired on MBC from April 23 to September 1, 2005 on Saturdays and Sundays at 21:40 for 41 episodes. It depicted the Fifth Republic of South Korea, during which Chun Doo-hwan was president from 1981 to 1988, from his rise to power through a military coup to his downfall after a series of democratic movements, such as the Gwangju uprising and the June Democratic Uprising. It was a politically and socially turbulent era in the country's history, which generated controversy for the drama series. Events from the year 1980 in South Korea. Lieutenant General (Ret.) Chun In-bum is a decorated South Korean Army veteran and authority on Korean politics and military relations.